TOKYO — Japan's top diplomat said Wednesday that South Korea's government taking action to resolve a legal dispute stemming from South Korean court rulings on forced labor during Japanese colonial rule is emerging as a key diplomatic priority. 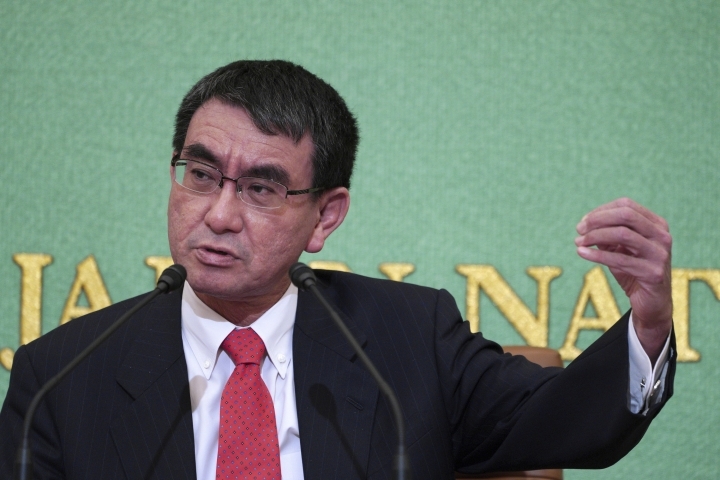 Foreign Minister Taro Kono said in a speech on the country's diplomatic outlook that the dispute represents deteriorating ties between the two nations. Tokyo is waiting for Seoul to take steps to uphold the 1965 compensation treaty that has served as the legal foundation for bilateral relations, he said. "The South Korean supreme court rulings worry me," Kono said. "But I'm confident that the South Korean side will handle appropriately so that the legal foundation of our relationship won't be damaged, and we will be waiting." South Korea's top court recently ordered Japanese companies to compensate Korean plaintiffs who were forced to work at factories and mines during Japan's colonial rule of the Korean Peninsula. The court in October ordered Nippon Steel & Sumitomo Metal Corp. to pay 100 million won ($87,680) each to four plaintiffs for their wartime forced labor at the company. The court made similar rulings on another company, Mitsubishi Heavy Industries, triggering disputes between the two countries. Earlier this month, lawyers representing the Korean plaintiffs said they will start a legal process to freeze some of Nippon Steel's assets in South Korea if the company doesn't agree to negotiate compensation by Christmas Eve. 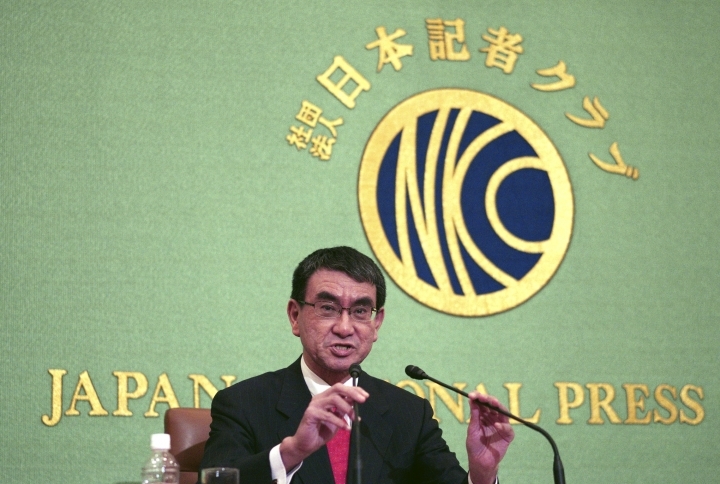 Tokyo has urged Seoul to seek ways to protect Japanese companies from financial damage. The recent rulings in South Korea are threatening to undermine relations with Japan, which has argued that the issue of forced laborers was settled when Tokyo and Seoul signed a treaty in 1965 that restored diplomatic ties and had Japan provide $500 million to South Korea in economic assistance rather than compensation. South Korea says the treaty does not terminate individuals' right to seek compensation for the inhumane experiences they were forced into. Japan maintains that all wartime compensation issues were settled by the 1965 treaty and that South Korean rulings violate international law. Historians say Japan used about 220,000 wartime Korean forced laborers. Japan acknowledged its wartime aggression and apologized to Asian victims in 1995, but has since significantly backpedaled under Prime Minister Shinzo Abe's nationalistic government.